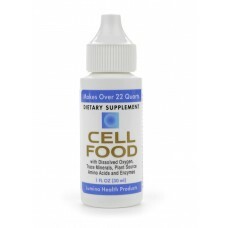 Cellfood is a proprietary ionic formula. Contains 78 Ionic Minerals, 34 Enzymes, 17 Amino Acids, Electrolytes and Dissolved Oxygen. 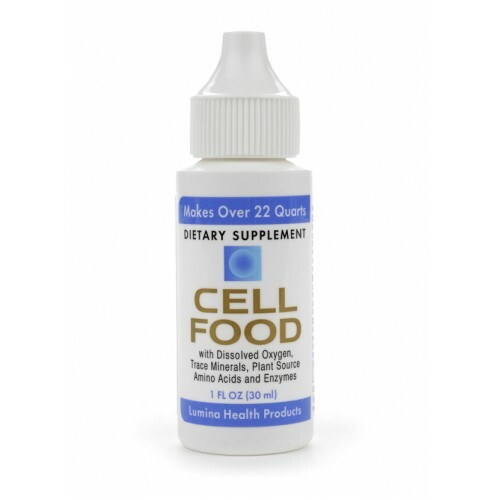 Cellfood from Lumina Health Products, provides an unsurpassed oxygen and nutrient delivery system, and is absorbed quickly and efficiently by every cell in the body. It's unique structure oxygenates and feeds the cells and thereby cleaning and tuning up the body's systems throughout the day. Made from all-natural plant substances and is yeast-free and gluten-free. This long lasting 30ml bottle can make up to 22 quarts of supplement mixture. Please read and follow instructions carefully before use.